From the HerdCon Facebook Page. 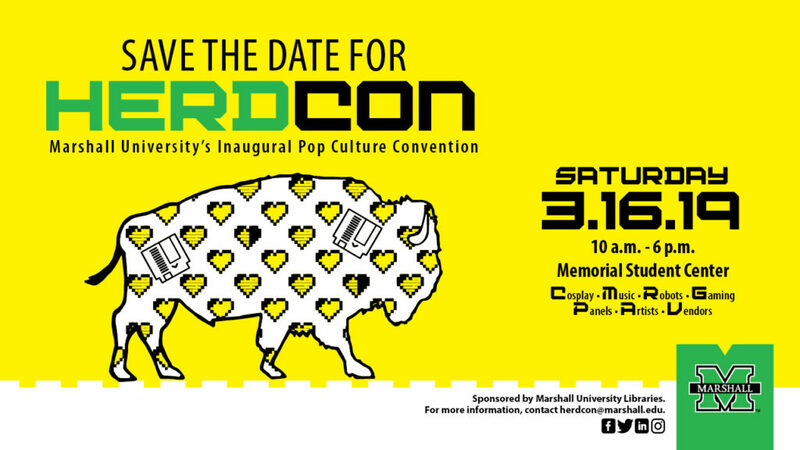 HerdCon is a new pop culture con hosted by Marshall University. The folks who organize this show asked me almost a year ago if I would be interested in having a table at their show, to showcase my work. The table was inexpensive (less than $40, even with me pre-ordering lunch). It’s hosted by a university – shows hosted by universities tend to do well. For examples of this, I think of Parkersburg Pop Con and Animarathon. Now, the show IS just for one day, but I’m shipping out a day early to go and set up the table the night before the show. Why? Well, besides the practical reason of “the building has maybe two elevators if you squint,” it would give me a chance to visit Huntington. A city I’ve not been to before. 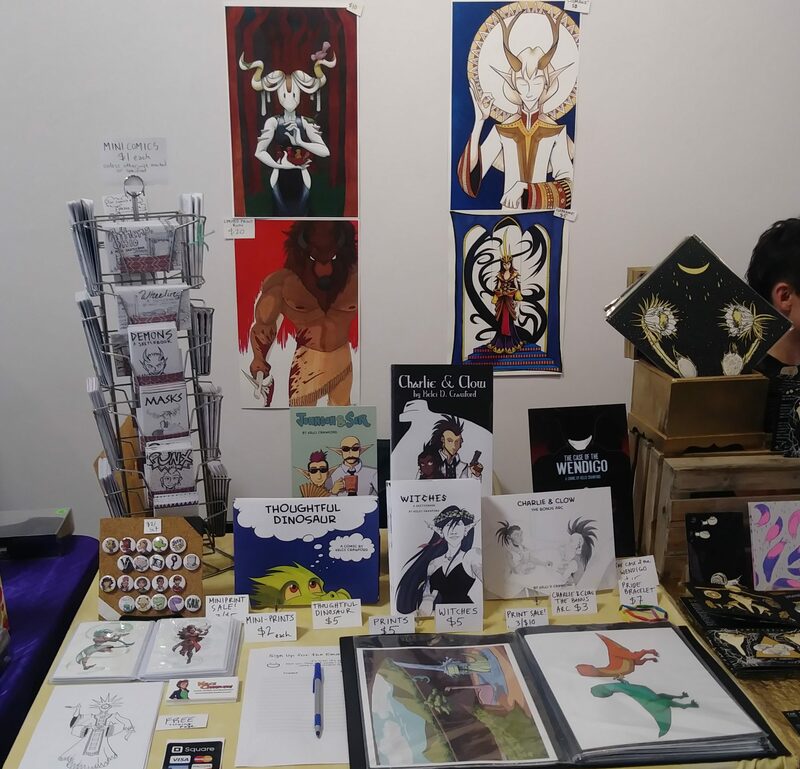 I’m hoping to go down to town and look around for any comic shops, coffee shops, or indie bookstores that may be interested in carrying my books, minicomics, or prints. But back to HerdCon itself. This is usually the part of the post where I talk about a giveaway I’m doing. Well, this year, I’m saving giveaways and freebies for shows where I’m a return guest, like RathaCon. Since this is my first year at HerdCon, no giveaways or freebies will be there… this time. With that said, if you’re going to HerdCon, I WILL have my 8.5 x 11 inch prints on discount. Plus there will be a new 4 x 6 inch miniprint for sale, and the Buffalo God Print will have a price drop, from $20 to $15. That’s all for now. Thank you for reading, and I hope to see you at HerdCon!